The 3,655-acre McClintic Wildlife Management Area (WMA) ranges across farmland, brushland, wetland, and mixed hardwood forests in the lowlands of the valley of the Ohio River. Game traditionally hunted in the management area include deer, grouse, mink, squirrel, rabbit, turkey, woodcock, beaver, muskrat, raccoon, mourning dove, and waterfowl. Twenty-six ponds at McClintic accommodate fishing for warmwater species. A 100-yard shooting range has been developed on the property. Camping in the management area is prohibited. 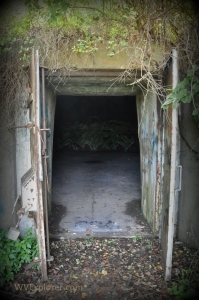 The management area is famously associated with the alleged first encounter with Mothman, an alien reputed to haunt the region. The TNT area, which includes bunkers that formerly housed munitions, is featured in the Fallout 76 video game. Directions: The McClintic Wildlife Management Area is located in western Mason County five miles north of Point Pleasant, WV, and eight miles southwest of Mason, WV. Access to the management area is provided by the Ohio River Road (highway WV-62) and Fairground Road (CR-12). The McClintic WMA is managed by the W.Va. Division of Natural Resources. It was formerly known as the McClintic Public Hunting & Fishing Area. The Clifton F. McClintic State Wildlife Station and the Mason County Fairgrounds adjoin the management area to the south. The West Virginia State Farm Museum is also located nearby. Further information on lodging, dining, and recreation near the McClintic Wildlife Management Area may be found in our guide to travel in the Mid-Ohio Valley Region, in which the wildlife management area is located.